The land of mystery and ancient wonders, Egypt oozes a mystical charm that allows you to uncover its fascinating history. Populated by over 92 million people, Egypt is renowned for its ancient landmarks, vivacious charm and arresting nature. Popular attractions include the Pyramids of Giza in Cairo, the beautiful beaches along the Red Sea and the Nile Valley. 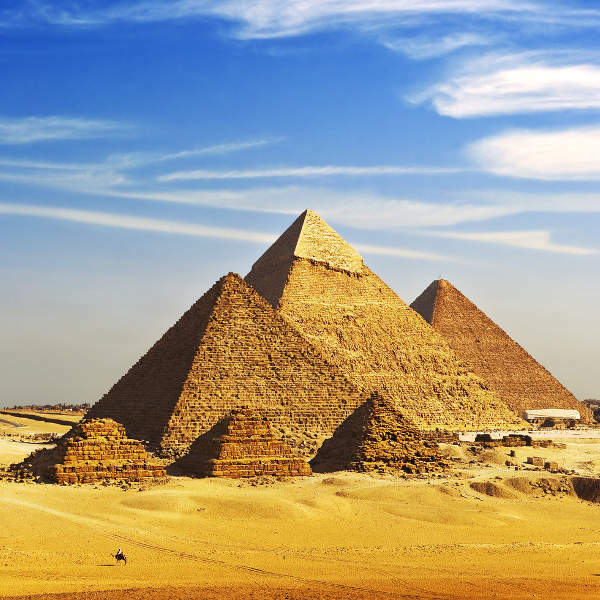 Get ready to uncover ancient civilisations with cheap flights to Egypt! Egypt’s hub airport is Cairo International Airport (CAI), a 30-minute drive from the city centre. The airport serves a multitude of airlines, including EgyptAir, Turkish Airlines and Ethiopian Airlines. Direct flights to Cairo depart from Johannesburg, while connecting flights depart from Cape Town and Durban. Flight duration from Johannesburg to Cairo is approximately 7 hours, 50 minutes. The heart of Egypt, one of the Seven Wonders of the ancient world, and the legendary Pyramids of Giza are much more impressive in real life, revealing hidden passageways of intriguing history and toil. 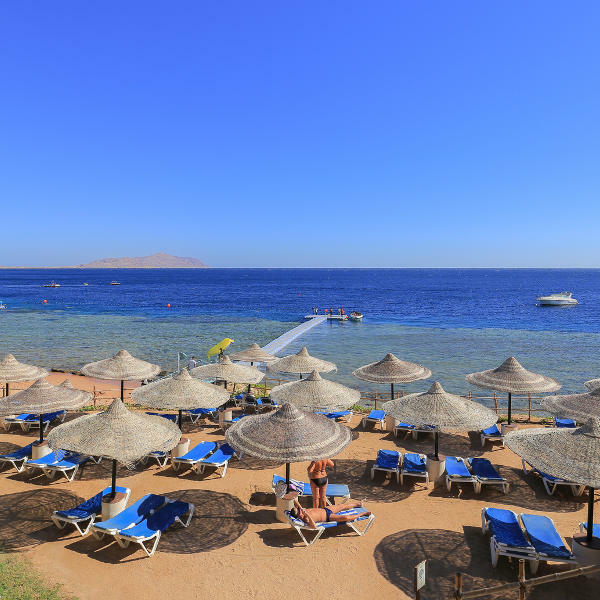 The pristine beaches of Hurghada and Sharm El-Sheikh are the epitome of beach resort luxury. Dip your toes into the turquoise waters or take a scenic boat cruise around the lagoons and bays. Egypt is a kaleidoscope of culture and adventure! 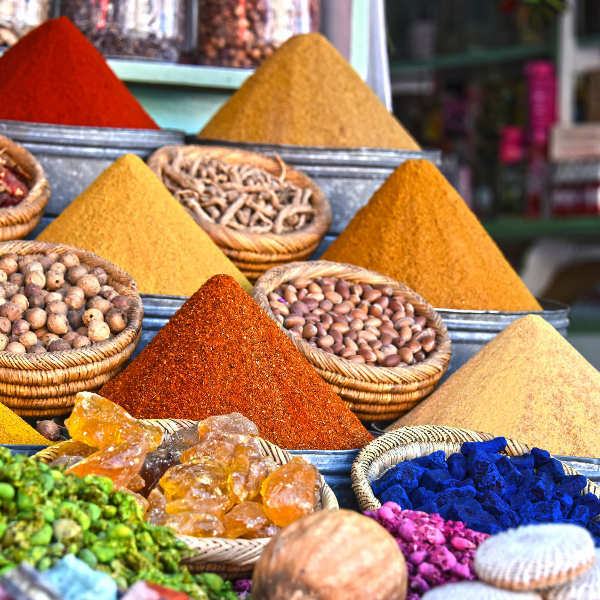 Bargain your way through the colourful souks and visit the ancient sites and historical museums. Adventure-seekers can wander the desert landscapes on camelback or explore the coral reefs of the Red Sea. Egypt is best visited during spring (March-April) and autumn (October-November) when crowds have dispersed and temperatures are cooler. Peak tourist season runs during winter from November to February. The Nile Valley experiences lovely warm days and the Sinai Desert resorts see an influx of tourists. Summertime (May-September) brings searing temperatures and heatwaves to the central regions and many affluent locals migrate to the coastal resorts. Avoid Cairo during the summer with its high pollution levels and blistering sun. If you must go during this time, sightseeing is best done in the early morning and evening. Egypt is home to many exciting festivals and religious celebrations. The Abu Simbel Sun Festival (21 February and 21 October), paying homage to King Ramses II’s ascension to the throne, is a spectacle to witness. The Islamic holiday of Ramadan limits eating and transport arrangements during the daytime but, after sunset, festive evenings are a communal affair. With its stately pyramids, stone-carved tombs, Roman ruins and prehistoric rock art, Egypt is indeed the cradle of civilisation. Egypt’s multi-faceted culture stems from the pillars of Islam and Christianity, while Bedouin tribes and villagers along the Nile River and desert oases complement the varied social landscape of this fascinating nation. Cairo, the capital city, boasts the mystical Pyramids and Great Sphinx of Giza in all their antiquity. Peruse the dusty streets of Downtown Cairo as you haggle your way through the bustling souks and museums. The markets of modern Cairo are quite the spectacle, selling everything from hand-loomed silk, electronics and leather to birds. The Nile Valley is home to ancient monuments, and scores of crumbling tombs and temples. A cruise down the Nile is a must and don’t be shy to try out some belly dancing with the locals! The deserts of Egypt will transport you into another world with their lush palm groves, crystalline pools, shimmering sand dunes and tribal customs of the people that inhabit the diverse landscapes. Go on a desert safari by jeep or camelback and experience a night under the twinkling Arabian sky. Egypt’s Mediterranean coast is fringed with sprawling white-sand beaches, picturesque harbours and historical ruins. Take a ferry cruise through the Suez Canal and indulge in fresh seafood in Port Said. The mosques and monasteries of Alexandria are architectural wonders, while the Siwa dates in Mersa Matruh are simply delicious. The dramatic crags of Sinai overlook the Red Sea which welcomes visitors to snorkel off its golden beaches. Compare several airlines, and book your cheap flights to Egypt online at Travelstart! South African passport holders do require a travel visa for Egypt. Visas are issued free of charge by the Egyptian authorities for SA passport holders and must be obtained prior to your departure for Egypt. Please note that EgyptAir will not accept SA citizens as passengers without a visa. Your passport must be valid for 6 months beyond the date of your arrival in Egypt. In exercising basic safety precautions and vigilance you’ll find that Egypt is a very safe country. Foreigners are not targets of violent crime; if anything, you may be overcharged for taxi fares and souvenirs. Unfortunately, some cities in Egypt have been targeted in recent terror attacks, so it is advisable to keep abreast of current political affairs and warnings. Avoid walking through dimly-lit areas at night, although the tourist areas are perfectly safe at any time of the day or night. Women may find themselves subject to verbal harassment in public areas and should avoid walking around alone. In general, men and women should dress modestly and avoid showing too much skin. Be aware of wayward traffic when crossing the roads in Egypt. Hiring a car with a driver is advisable if you’re staying for a considerable amount of time and need to get around. There are no mandatory vaccinations required to enter Egypt, although it is advisable to be immunised against hepatitis A and typhoid. If you are an adventurous eater, be wary of uncooked street food and fruit juice. Tap water is not potable so stick to bottled water at all times. Use a good insect repellent to ward off pesky mosquitoes, especially if you are staying around the Nile region. Be aware that medical facilities in Egypt are not always up to standard so it is recommended to bring along a medical kit with basic supplies. A comprehensive travel-insurance policy to cover theft and medical expenses is always recommended.